We are able to replace any of your existing caravan exterior aluminium panels if they are worn or damaged. 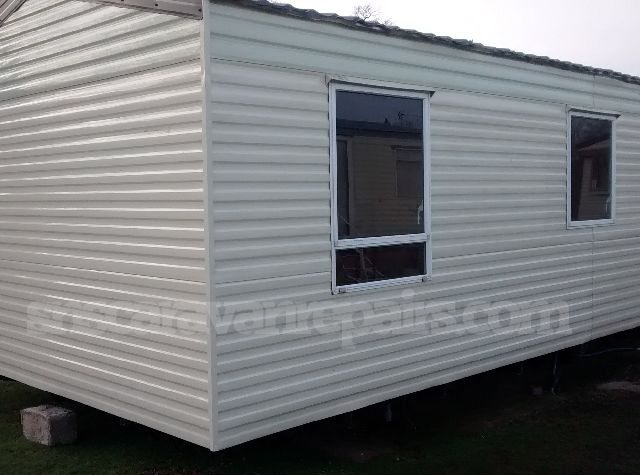 Caravan Panels can be replaced on any model or make Static Caravan. 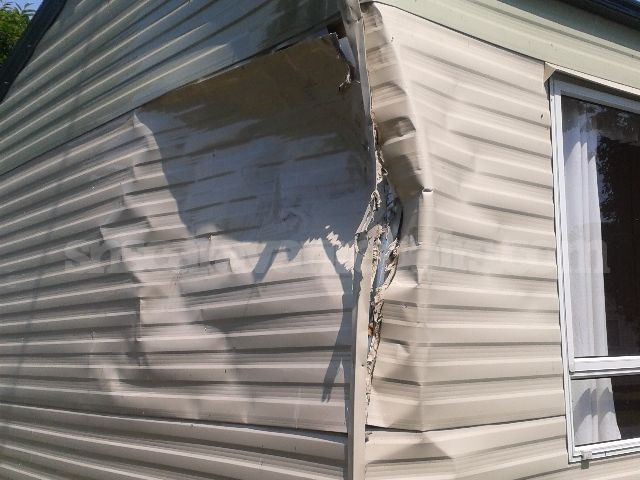 We remove and replace your damaged External Caravan Panels and get your static caravan looking as good as new. Please Contact us if you have any questions about your static caravan outside panels. Yes, We Can Get This Back To Its Original State. Here's a thought; Do you fancy changing the colour of your Caravan Panels ...? 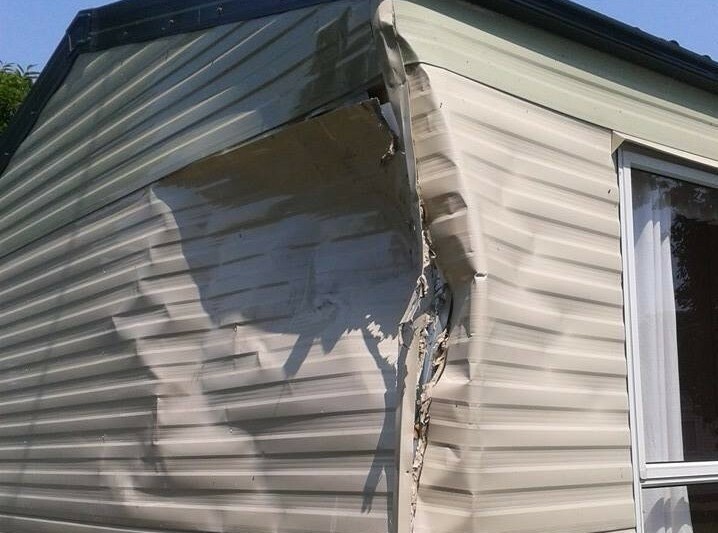 - see our Caravan Cladding page. 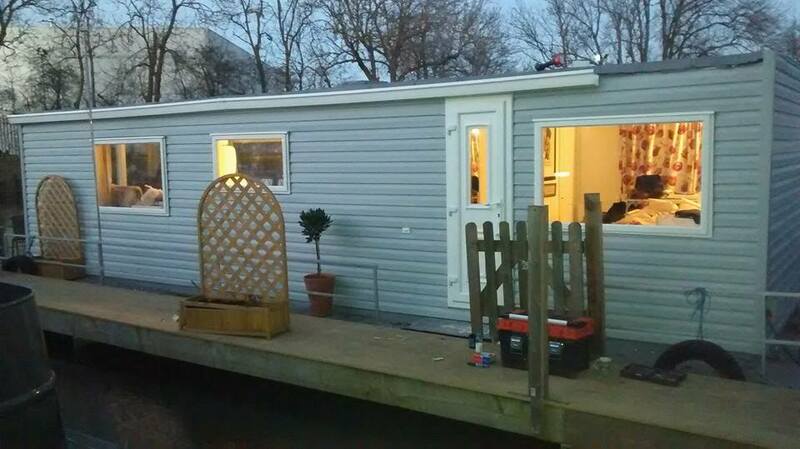 Now For Some Examples Of Our Completed Work on External Caravan Panels. Below Are A Few "Before & After" Photos. 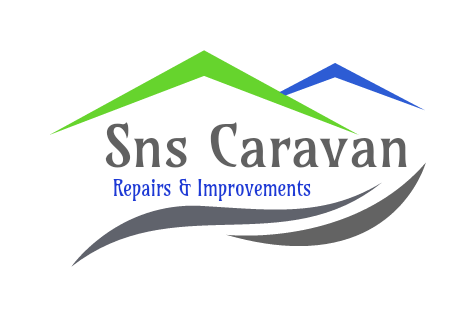 This is Just a Snippet of The Work Carried Out by SNS Caravan Repairs and Improvements. 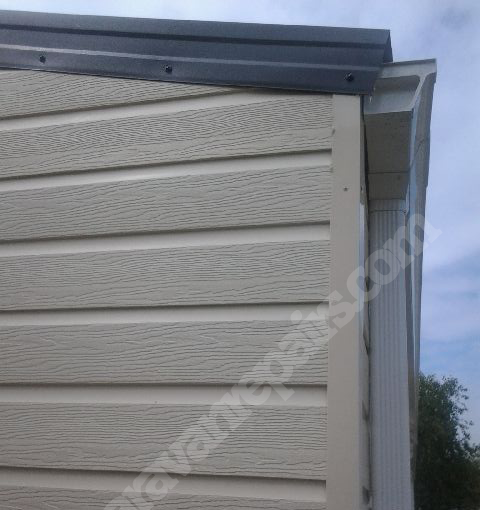 Exterior Caravan Panels aka The "Outside" Panels. Nothing Else Needs To Be Said - Complete by SNS Caravan Repairs. 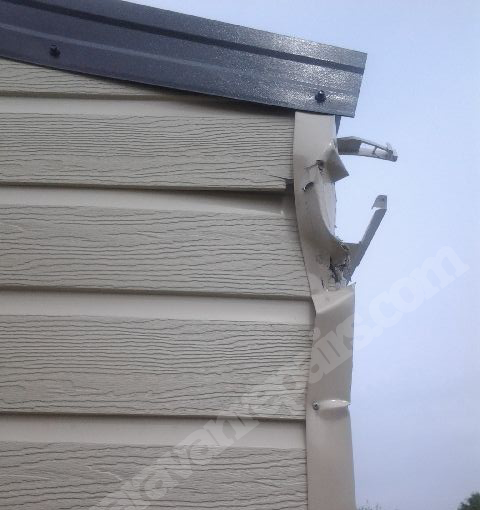 As New, Exterior Work Completed by SNS Caravan Repairs. 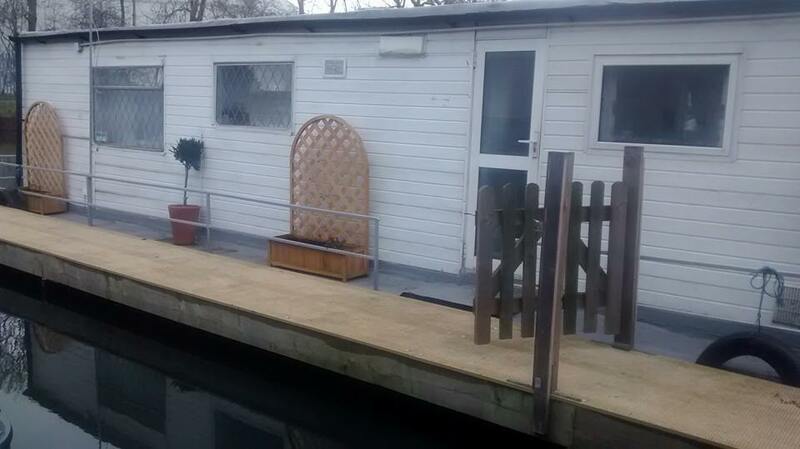 This Houseboat Has Been Booked In For A Major Makeover... Now Look Right. Transformation Included External Panels - Caravan Cladding. Very Happy Customer.